Recently Ulta had a 20% off sale and I was fortunate enough to be able to splurge a little on some items that I had been dying to try. I had considered splurging on makeup but there weren't many makeup items that I really wanted from Ulta. However there were a lot of face, body, and haircare items that I really needed so it was a pretty easy decision as to what I was going to spend my money on. Normally I buy these at my local Target but the last few times Target has been sold out of them. So when I made my online shopping trip to Ulta the other day this was the first item on my list. 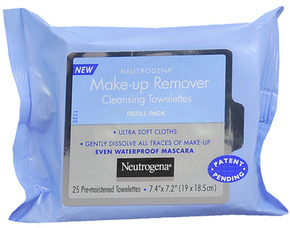 There are several different kinds of the Neutrogena wipes but I like to buy the night calming ones. I use these right before I go to bed because they do a good job of soothing my tired skin and they work really well at getting any dirt left behind from my makeup too! These are currently on sale for $6.36 for one pack. 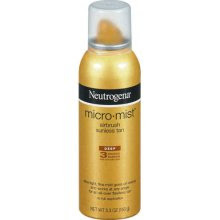 This next product I had seen advertised and reviewed in a recent magazine article (I think it was Allure or People Style Watch) and according to the writer this is the new "MUST HAVE" product for the summer; a spray tan in a can. I honestly have no clue how well this works or if it will even work. I just bought it as an alternative to sunbathing or forking out the money for a professional spray tan. The latter of which I have seen some really horrible orange looking spray tans. So good or bad I will be sure to follow this up with a review about my thoughts on this product after I have had time to use it. This is currently on sale for $9.76. 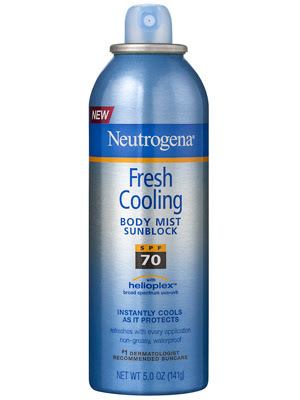 I bought this because a common problem that I encounter when applying sunblock is how messy it is. It is hard to apply and once you have finished it is even harder to get the greasy mess off your hands. Which is why I wanted to try this to see if the hands free formula is just as good as the messy stuff! I will be sure to follow up with a review on this product too! This is currently on sale for $8.49. I've used this product in the past and really liked it but then I stopped seeing it in the stores. I honestly had thought it was discontinued so I was pleasantly surprised to find it at Ulta. What makes this product so special is that it helps to extend the life and/or color of brunette color treated hair. First you shampoo your hair, next you will need to use a conditioner, and then you apply the color glaze leaving it on for about five minutes after which you will need to really rinse it out of your hair. The color glaze can be messy but the results are totally worth it. 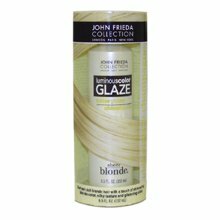 The cost for this is $9.99 however Ulta usually has John Freida BOGO 1/2 off promos quite frequently so you might get it even cheaper than the current price. 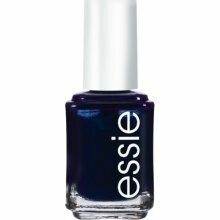 If you follow me on Twitter then you know that I have raved about this polish and how much I love the color. Why the obsession? It all started back when the reality TV show "The Hills" was being aired and the actress Lauren Conrad was sporting a bluish, almost black, colored polish on her nails in one of the episodes. I loved the way it looked on her short nails and I just had to have it. I never could figure out what color it was that she wore in that episode but I think this color seems to be as close to it as I can find. The cost for this is $8.00 per bottle but Ulta is running a buy two get the third free promo so it will be even less if you take advantage of the current offer that is advertised right now. Don't forget to subscribe to my blog for the latest updates and reviews!